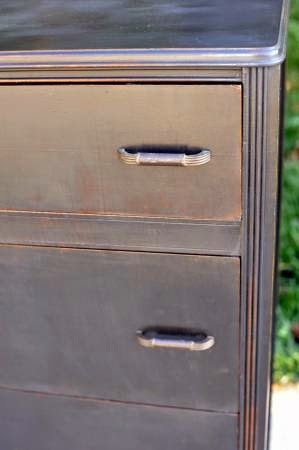 Wrought Iron paint by Maison Blanche is really a nice color to work with. It gives you the dark black color without having to add tint to make it really black. If you have used other black chalk paints you know what I am referring to. 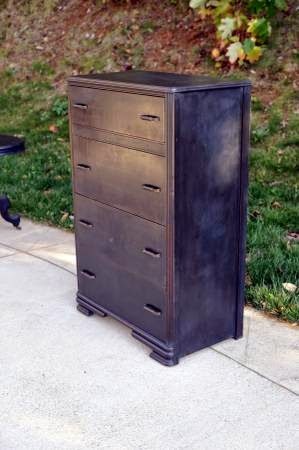 Annie Sloan’s Graphite is a dark gray, almost black. Which is fine if you want to finish with a dark wax to get the darker color and a little color variation in your finish. 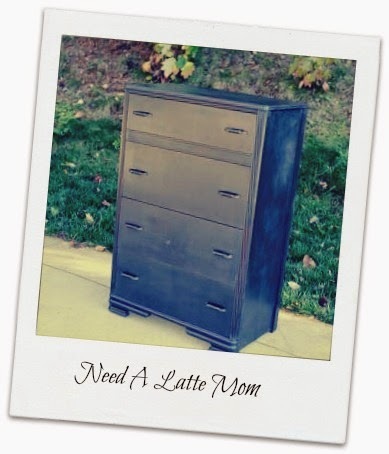 I finished a maple cabinet in my kitchen with Graphite and dark wax and you can check it out here. I really like the finish on this piece but it does require a little more elbow grease. With the Wrought Iron I am able to use clear wax. Neither are wrong. Both give a great look. Because I used a flash in these pictures the light has bounced off the surface giving it an ashy appearance. In person these color variations do not exist. I was hesitant to use these photos because of the light reflection and it does make it a little unattractive but oh well, Here they are.